It houses collections about the history of Patras and the surrounding area from prehistory to the end of Roman times. 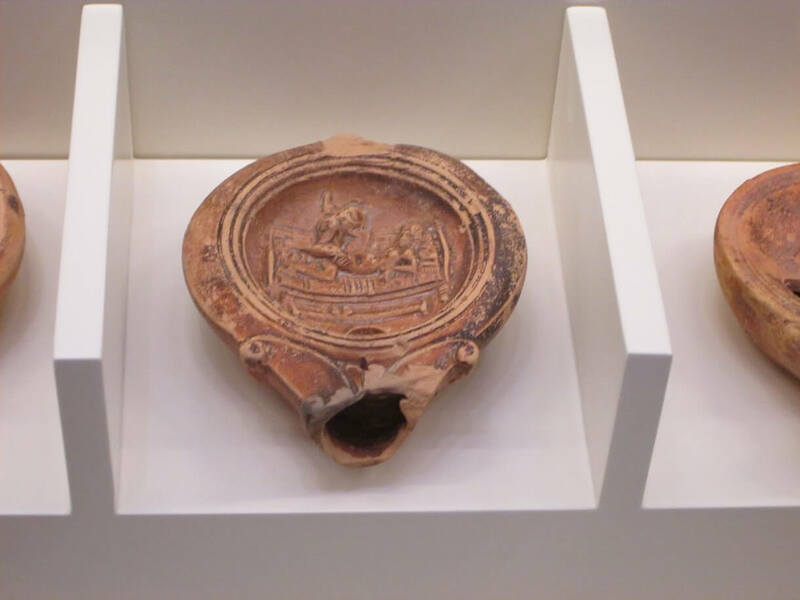 Gifted by nature, Patras is nowadays a commercial hub and Greece’s third most important city. 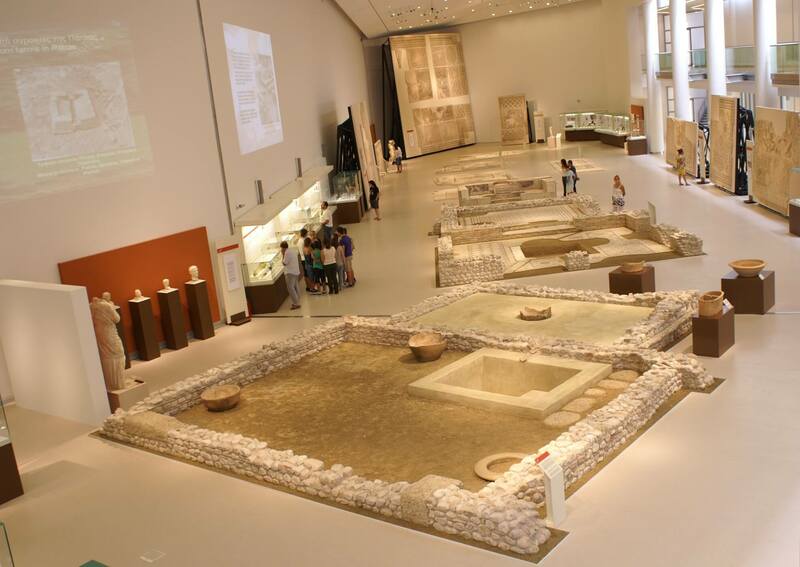 The Archaeological Museum of Patras building stands at the north entrance to the city on the new Patras-Athens Motorway and is a model of architectural elegance. 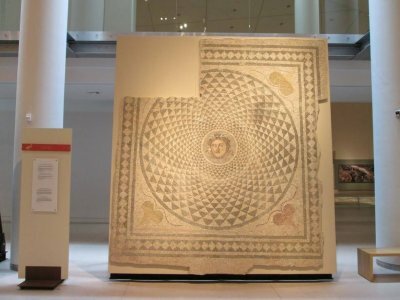 Its external appearance is in keeping with the surrounding area. 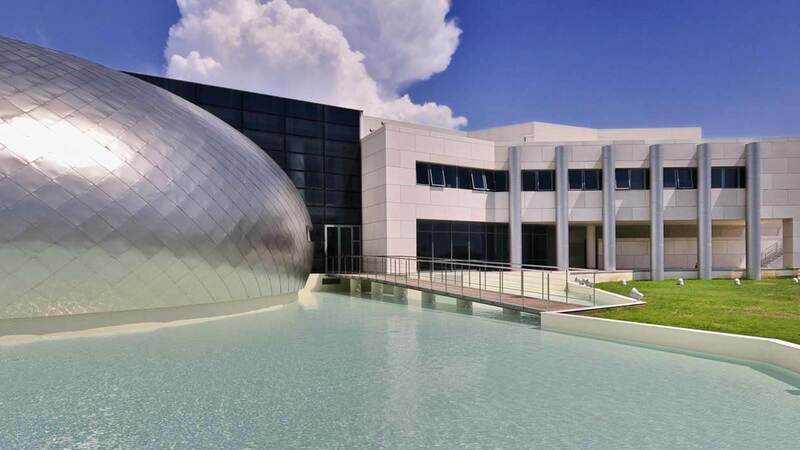 In front of the building there is a spherical dome covered with sheets of titanium standing in an artificial pool, which represents Patras’s relationship with the water element. It is modern, spacious, really interesting and has a distinct point of view, by presenting the archaeological finds of Achaia in a smart, fun and educative manner. 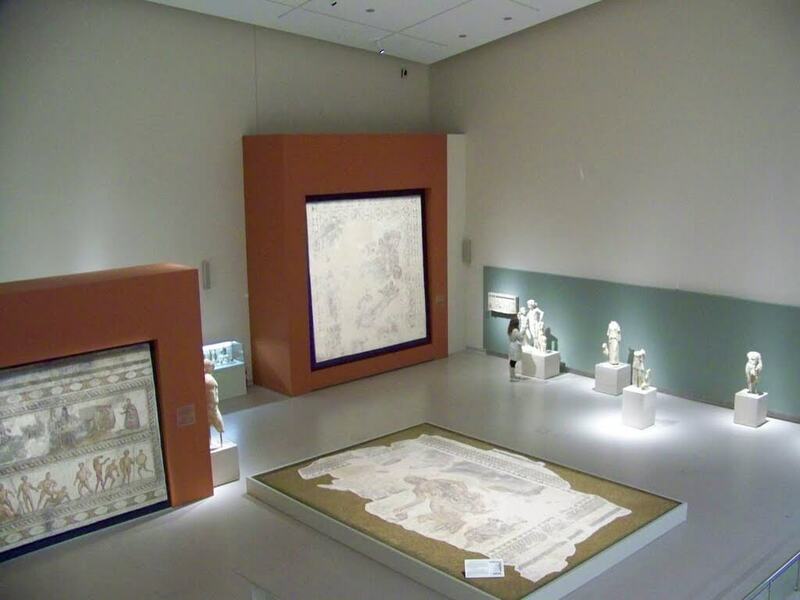 The exhibits reconstruct Patras’s long history dating back to prehistoric times. 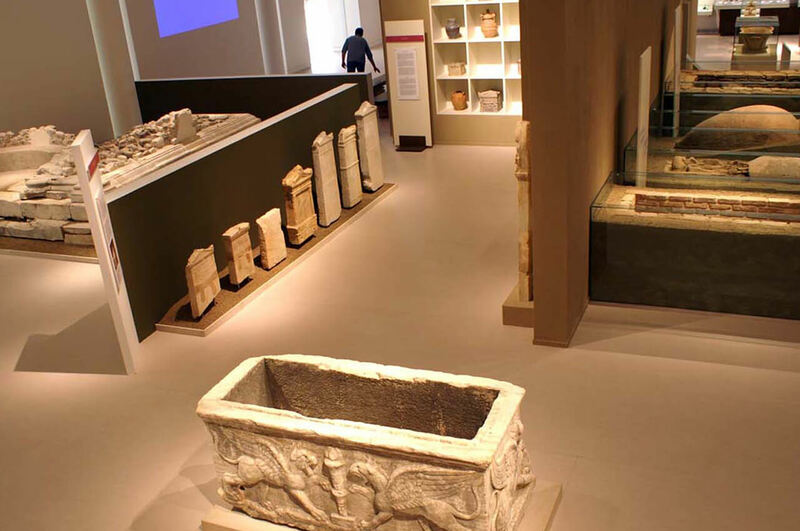 The museum follows the style of all modern museums of the world, which means that many of the exhibits are not “locked” inside window cases but are “liberated” so that all visitors of all ages can approach them within breathing distance. The findings are exhibited in such a way that the visitor can enjoy an experiential journey into the past. There are also video walls, with optical informative material, offering fascinating information. With a lot of antique furniture and architectural details sourced from Greece and abroad , plants from Peloponnese, and years of work, the essence of Villa Vager grew into the elegant and welcoming place we dreamed it would be.